Sadly, loss is a part of our lives. 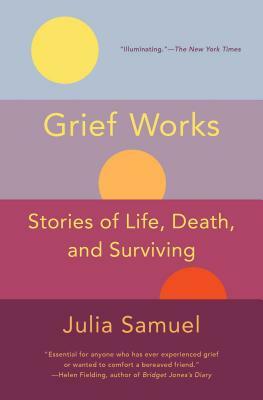 Julia Samuels brings her decades of bereavement experience to helping not only those of us who have suffered the loss of a partner, child, parent or sibling but it is equally invaluable to those of us who want to comfort family and friends through their loss. Julia’s writing and voice is wise and compassionate. This should be the handbook we can all rely on. Julia Samuel is a psychotherapist specializing in grief, who has spent the last twenty-five years working with bereaved families. Grief Works is her first book. "Julia Samuel describes her patients' stories of loss with great sensitivity and fascinating psychological insight. Essential for anyone who has ever experienced grief or wanted to comfort a bereaved friend."